Chartis Research has featured CustomerXPs as a ‘Best of Breed’ solution vendor in the premier research firm’s latest ‘Artificial Intelligence in Financial Services, 2019’ Report. 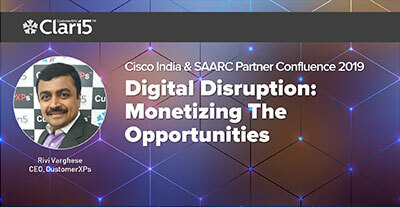 The 3-day partner conference had Cisco’s India & SAARC leaders and CXOs of partner organizations converging to debate the opportunities in digital transformation. CustomerXPs participated in the discussion ‘Digital Disruption: Monetizing the Opportunity’ which debated the mindset shift required to be successful in digital; what digital disruption actually means for organizations; expected customer outcomes in financial services and the challenges in executing digital transformation. 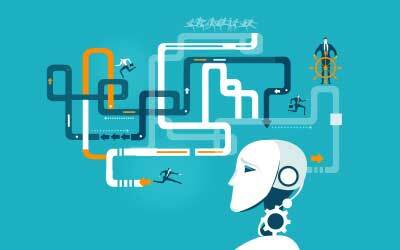 Robotic Process Automation is driving smarter, cost-effective financial crime risk management. 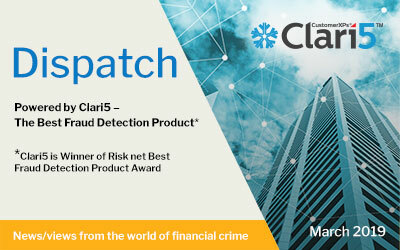 Clari5 explores RPA-integration in bank fraud investigations.